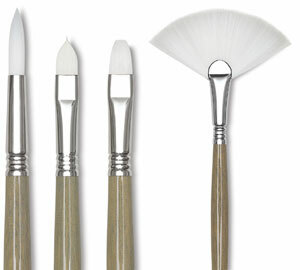 Perla Toray White is perhaps the finest quality soft synthetic fiber available for artists. It keeps an excellent edge for a soft, yet controlled application. 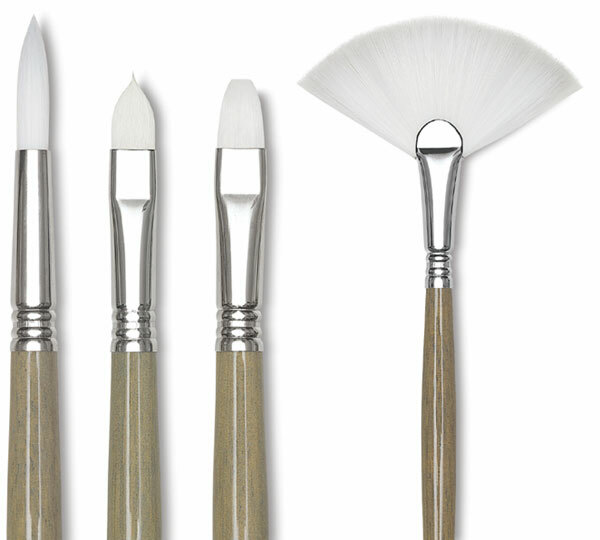 Escoda cures each brush to increase the spring and resilience of the fibers. The long, gray-lacquered wood handle is triple crimped to the nickel-plated brass ferrule. The nylon filaments vary in diameter to allow for a more natural point and appearance.